T&Cs: Save up to £500 per couple onboard Marella Explorer 2 departing 8th May 2019 and 29th May 2019 – The £500 saving refers to the total savings made on 7nt Mediterranean Gems cruises departing on 8th May 2019 and 29th May 2019 on Marella Explorer 2 based on 2 adults sharing the cheapest available cabin type on an all-inclusive basis. The offer applies to 7 night holidays booked on tui.co.uk/cruise and does not apply to cabin only. Savings are from the latest edition of the relevant brochure. Additional supplements may apply. 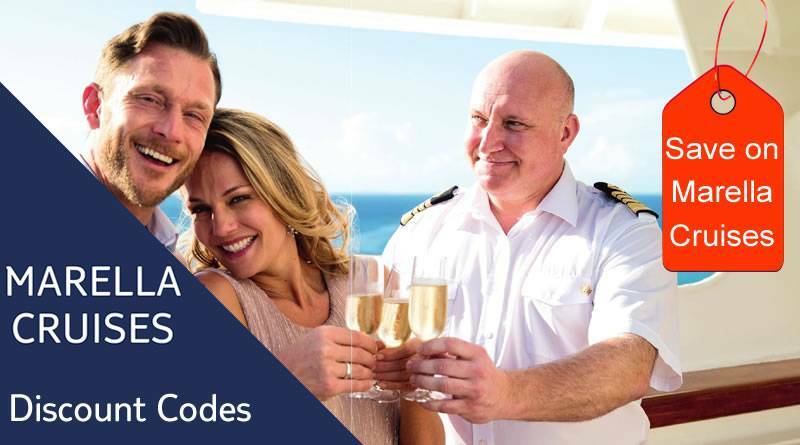 T&Cs: The £600 per couple saving refers to the total savings made on 7nt holidays departing between 1st May – 31st May 2019 on a holiday based on 2 adults sharing the cheapest available cabin type on an All Inclusive basis. The offer applies to 7 night holidays booked on tui.co.uk/cruise and does not apply to cabin only. Savings are from the latest edition of the relevant brochure. Additional supplements may apply. T&Cs: Save up to £600 per couple onboard Marella Discovery sailing on 12th December 2019 – The £600 saving refers to the total savings made on 14nt Colours of the Far East 1 cruise sailing on 12th December 2019 on Marella Discovery based on 2 adults sharing the cheapest available cabin type on an all-inclusive basis. The offer applies to 14 night holidays booked on tui.co.uk/cruise and does not apply to cabin only. Savings are from the latest edition of the relevant brochure. Additional supplements may apply. T&Cs: £100 off per booking: Offer valid on Marella Discovery sailings from 1st November 2019 – 30th April 2020. No minimum spend applies. Use discount code ASIA100 on the booking page of our website or tell your holiday travel advisor if booking in a TUI holiday store. For bookings made via your local travel agent, save £100 off per booking using discount code ASIA100. Offer is not valid on cabin only bookings. Offer must be selected at time of booking and applies to new bookings only, is subject to availability and may be withdrawn without prior notice. The code is not combinable with any other offer. Please see www.tui.co.uk/cruise or the relevant brochure for full booking terms and conditions that apply. Some of the flights and flight-inclusive holidays are financially protected by the ATOL scheme. But ATOL protection does not apply to all holiday and travel services. Our website and/or brochure will provide you with information on the protection that applies in the case of each holiday and travel service offered before you make your booking. If you do not receive an ATOL Certificate then the booking will not be ATOL protected. If you do receive an ATOL Certificate but all the parts of your trip are not listed on it, those parts will not be ATOL protected. Please see our booking conditions for information, or for more information about financial protection and the ATOL Certificate go to: www.caa.co.uk. Marella Cruises is a trading name of TUI UK Limited, a member of TUI Group. Registered Office: Wigmore House, Wigmore Lane, Luton, LU2 9TN. Registered in England No: 2830117. ATOL No: 2524. ABTA No: V5126.